The FDA on Monday approved the latest combo HIV combo therapy from Gilead Sciences: Descovy. The therapy improves upon existing Gilead HIV medicine: Viread, according to the company, because it contains a newer formulation of a key ingredient called tenofovir. That will allow Descovy to be delivered to patients at lower doses, potentially foretelling fewer negative side effects. The California-based drugmaker has racked up a series of new HIV approvals in recent months, including Genvoya and Odefsey. But some of these have been met with patient advocate criticism. 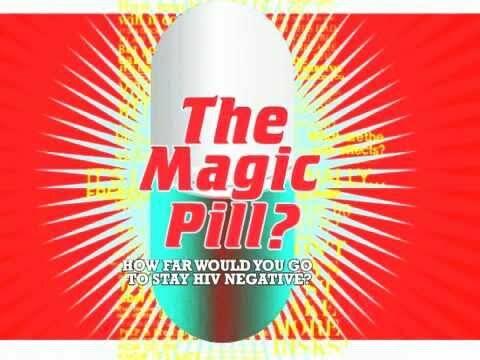 Last autumn, the AIDS Healthcare Foundation alleged that Genvoya’s approval amounted to an attempt by Gilead to evergreen its patents on the older HIV med Stribilid, since the two drugs are essentially identical other than Genvoya’s newer tenofovir formulation. Between HIV/AIDS therapies and Gilead’s hepatitis C treatments Sovaldi and Harvoni, the firm’s antiviral franchise brought in more than $30 billion in global 2015 sales. 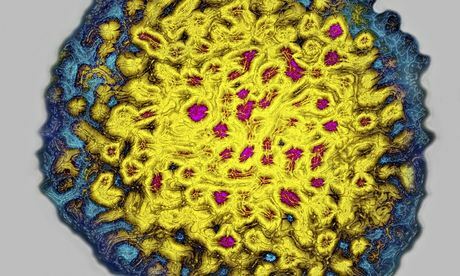 The NHS is to delay the introduction of a highly expensive drug that can save the lives of people infected with the hepatitis C virus. The move by NHS England is unprecedented, because the NHS rationing body, Nice (the National Institute for Health and Care Excellence) has approved the drug. Nice says sofosbuvir is cost-effective, because it is a cure for people who would otherwise run up huge NHS bills. One in three people infected with hepatitis C will develop liver cirrhosis and some will get cancer. A liver transplant costs more than £50,000. But NHS England appears to be balking at the bill for the drug, which would hit £1bn for every 20,000 people treated. Approximately 160,000 people in England alone are infected with hepatitis C, although fewer than half are aware of it. Sofosbuvir has been hailed internationally as a breakthrough, but there is global concern over the very high cost of a drug that can save lives. Campaigners are pressing for lower prices, from the US – where it costs $1,000 a pill – to India, in a fight which they liken to that over drugs against another virus: HIV, which causes Aids. On Wednesday, they celebrated a decision by the Indian authorities not to allow a patent application for sofosbuvir by Gilead, the manufacturer, which means Indian companies may be able to make cheap copies for the developing world. The price offered by Gilead in the UK is almost £35,000 for a 12-week course. Many patients will need a 24-week course, costing £70,000. In its final draft guidance on sofosbuvir, Nice said it was allowing NHS England to postpone implementation for four months, until the end of July instead the beginning of April. NHS England failed to comment. Charles Gore, chief executive of the Hepatitis C Trust, said he was very concerned about the delay. Nice had allowed NHS England to make a decision based on affordability rather than cost-effectiveness. “It feels to me as if a whole new criterion has been invented by the backdoor,” he said. If the NHS could delay using a new drug by four months, it could also delay by six months or a year – or it could decide on the basis of its cash-strapped budget to use it one year but not the next. NHS England has introduced a scheme to pay for the treatment of people who are very ill – many of them on liver transplant waiting lists. In April, it announced an £18.7m fund to pay for 500 patients with acute liver failure. About 10,000 to 15,000 of people with hepatitis C infection in the UK have cirrhosis, he said. Around 5,000 have advanced disease and need treatment soon if they are not to suffer long-term damage. Hepatitis C is spread by contact with infected blood. Some people live with it unknowingly for years having injected drugs in their youth, while some got it from blood transplants before screening for the virus was introduced. It is also thought to be spread by sharing razors or toothbrushes with those infected. Stelios Karagiannoglou, Gilead’s general manager, UK and Ireland, said the company was pleased with the Nice decision. But he added: “We are disappointed that the majority of patients will not gain access to this important medicine until later this year.” He called on NHS England to commit to a scheme from April offering early treatment for people with cirrhosis. Gilead Sciences, the leading maker of HIV drugs, is to share intellectual property rights on its medicines in a patent pool designed to make treatments more widely available to the poor. The California-based group is the first drugmaker to sign up to the new Medicines Patent Pool, whose organizers now expect other major pharmaceutical manufacturers to join the initiative. Ellen ‘t Hoen, the pool’s executive director, told Reuters she was negotiating terms for similar deals with ViiV Healthcare — a GlaxoSmithKline and Pfizer joint venture — as well as with Bristol-Myers Squibb, Roche, Boehringer Ingelheim and Sequoia Pharmaceuticals. “This is not just a one-off. The whole field is changing … there will be more to follow,” she said. Around 33 million people worldwide have the human immunodeficiency virus (HIV) that causes AIDS. Most live in Africa and Asia, where medicines have to be very cheap to allow those who need them to be able to afford them. The Medicines Patent Pool, launched by the UNITAID health financing system that is funded by a tax on airline tickets, aims to address this problem by creating a system for patent holders to license technology to makers of cheap generics in exchange for modest royalties. Significantly, cobicistat, elvitegravir and the Quad are still in clinical development, and their inclusion in the deal should speed the flow of new treatments in poor countries. “Through systematic licensing of intellectual property related to HIV products, people in developing countries will have access to low-cost versions of those products almost at the same time that people in rich countries do,” ‘t Hoen said. Traditionally, patients in developing countries have to wait for years before they can get access to new drugs. Gilead will receive a 3 percent royalty on generic sales of tenofovir, which is also approved for use in hepatitis B, and 5 percent on the other products. The licenses will allow for the supply of tenofovir and emtricitabine in 111 countries, for cobicistat in 102 countries, and for elvitegravir and the Quad in 99 countries. Assuming other companies come on board, the patent pool could save poor countries more than $1 billion a year in drug costs. But the revenue stream to Gilead and other patent holders is likely to be small, since generic drug prices in Africa could be just 1 or 2 percent of those in high-income countries. The decision by Gilead and others to work with UNITAID on the new patent pool marks an evolution in thinking by Big Pharma toward the thorny problem of drug access in the developing world. Ten years ago, the world’s pharmaceutical industry took a very different stance when it sued South Africa over legislation that was passed by former President Nelson Mandela and which favored generics. That battle proved a public relations disaster, and since then individual companies have struck a series of voluntary licensing deals, allowing generic copies of HIV products on a case-by-case basis. The patent pool system, however, goes beyond this by providing an effective “one-stop shop” for generic firms to secure rights to manufacture patent-protected drugs. The U.S. National Institutes of Health became the first organization to sign up to the pool last September. The concept has been harder for some drugmakers to swallow. ViiV, for example, was initially unwilling to consider pooling its patents — and Abbott Laboratories, Merck & Co and Johnson & Johnson have yet to enter formal negotiations, although ‘t Hoen said her team was now discussing the idea with all three companies.